PostgresOpen is a perfect opportunity for companies to reach out to users and developers of PostgreSQL, or to just "give back" to the community. Our sponsorship program covers a wide range of levels, from Supporter to Diamond. If you are interested in sponsoring the conference, please contact us! The PostgresOpen SV 2018 prospectus is available here! 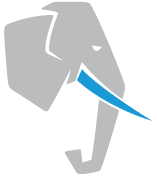 PostgresOpen abides by the PostgreSQL Project Community Recognition guidelines. When working with individual companies on sponsorship, PostgresOpen and PgUS will only consider changes to the sponsorship contract which do not impact the material benefits provided to a given company or the cost of the sponsorship. The determination of what is considered a material benefit will be decided by the PostgresOpen operations committee and PgUS, as the signing authority. No changes to the benefits included in the prospectus will be accepted, nor will any sponsorship discounts be provided.